Did your bank recently send you a new credit or debit card with a shiny, metallic chip on the front? You may have noticed that some cards have this chip in addition to the standard magnetic stripe on the back of the card. Lately, we’ve received questions from people wanting to know what these chips are and how they work. Because security is often people’s number one concern, we’ve also heard from consumers who want to know what they can do to protect their bank accounts, credit cards, and personal financial information. As a new federal agency, we’re committed to providing you with trustworthy information about consumer financial products—including bank accounts and credit cards. Here are a few things you should know about chip technology. Chip technology is designed to help cut down on credit and debit card fraud. The technology has been in use in other countries for some time. For credit and debit cards to work, they have to provide information—your so-called “payment credentials”—to the merchant that takes your card. The merchant uses that information to authorize the transaction. This is what that magnetic stripe, also known as a “mag stripe,” on the back of your card currently does. That’s what the new chips will do, too. For consumers, the important difference between chips and mag stripes is that it’s more difficult for a fraudster to make a fake chip card than to make a fake mag stripe card. The shift to chip cards won’t affect your legal rights that protect you from credit card and debit card fraud. But to be fully protected, you must still review your credit card and debit card statements regularly—and report fraudulent charges immediately. We have some practical suggestions for how to continue to protect your accounts below. Instead of swiping your card through the payment terminal, with a chip card, you insert the end with the chip into the slot at the front of that terminal. You do this with the front of the card (and the chip) facing up. Terminals take slightly longer to read a chip card than a mag stripe, so wait for the terminal’s instructions before you remove your card. Not every place you shop will be able to read chip cards yet. If the store accepts credit and debit cards but doesn’t have terminals that can read chip cards, you can still shop there. You’ll just need to use the magnetic stripe on the back of your card. Over time, you’ll see more and more terminals that read chip cards. You can use your chip card to make mobile or online payments the same way you you’ve been using your old card. There’s no law requiring your credit card company to give you a chip card. That’s true for debit cards as well. Likewise, there is no law saying that stores have to install terminals that can read chip cards—or turn on chip card technology even if they do have these terminals. Even so, you’re going to see a lot more chip cards and chip card readers in the months to come. Beginning in October, card companies and stores are changing how they divide up responsibility for card fraud. Those changes are creating incentives for merchants to install chip card terminals and for banks and credit unions to issue chip cards. So, a lot of card companies and merchants are rolling out this technology as soon as they can. What if I don’t have a chip card yet? You can still keep using your card, and you’ll be able to swipe your mag stripe through card readers. 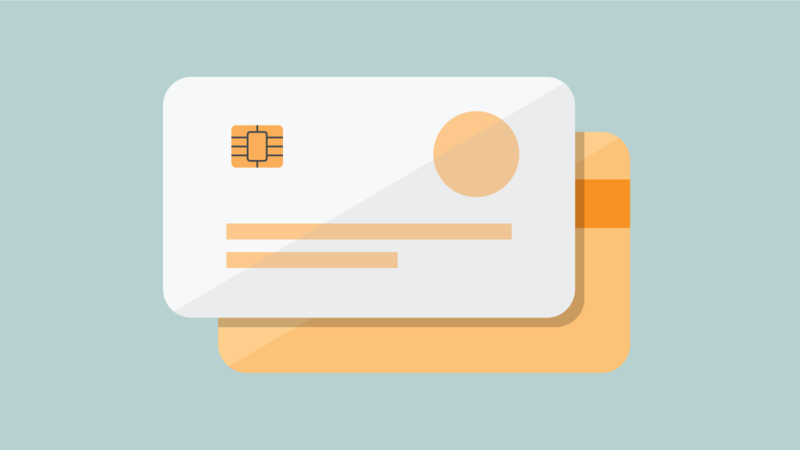 Keep in mind that your bank or credit union will most likely send you a chip card in the future. Check your accounts for unauthorized charges or debits regularly. Sometimes fraudsters will process a small debit or charge against your account and return to add more charges if the first transaction goes through. If you have online or mobile access to your accounts, check your transactions regularly. If you receive paper statements, be sure to open them and review them closely. Report a suspicious charge or debit immediately. Contact your bank or card provider immediately if you suspect an unauthorized debit or charge. If a thief charges items to your account, you should cancel the card and have it replaced before more transactions come through. Even if you’re not sure that PIN information was taken, consider changing your PIN just to be on the safe side. Submit a complaint if you have an issue with your bank or card provider’s response. Take a look at some additional security suggestions . If you have more questions about bank accounts and services, check out Ask CFPB, our online, database of frequently asked financial questions and answers.